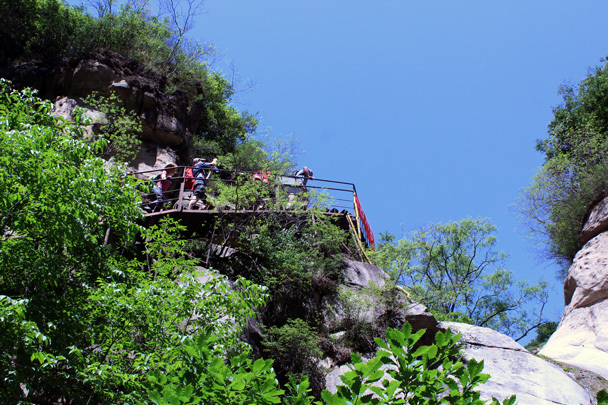 In Brief: Take a look at photos from our visit to Immortal Valley. 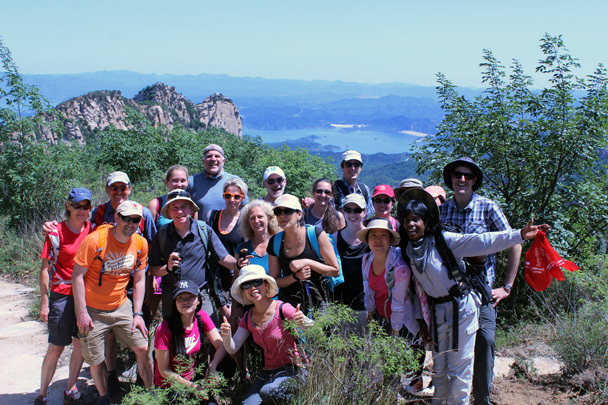 The Immortal Valley Loop is a nice long hike that takes us up on to the ridgeline of the mountains west of the Miyun Reservoir. 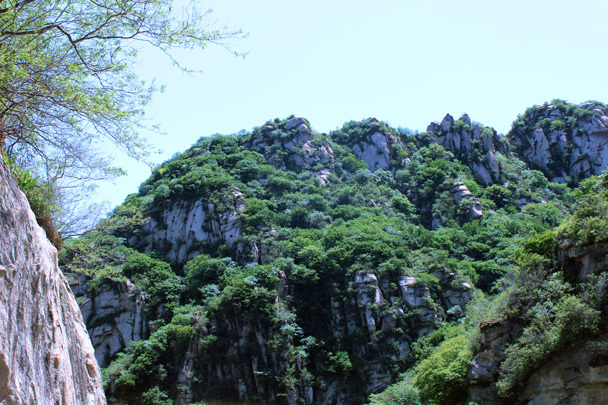 We start in a park area, and hike out the back to get up to one of the peaks in the mountains. 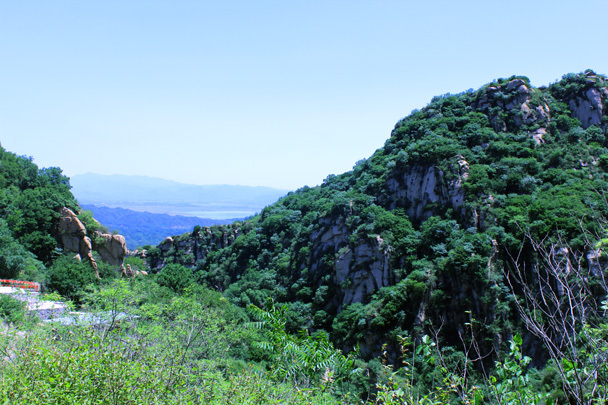 The park area is popular with day trippers, but not everyone knows the trail to get up to the peak at the end of the valley, and even fewer people know the alternative trails down from the peak. 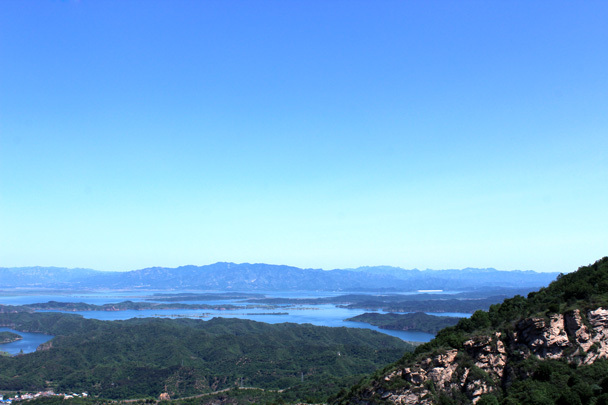 On this visit the skies were clear, and we had amazing views of the mountains and Miyun Reservoir once we got up to the top. Up the stairs by the waterfall. 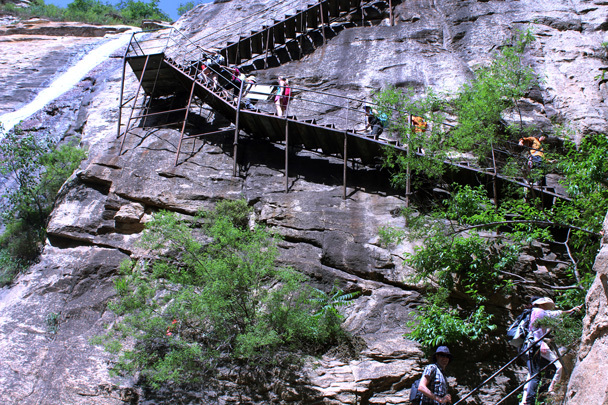 Further up the valley, another set of stairs to climb. 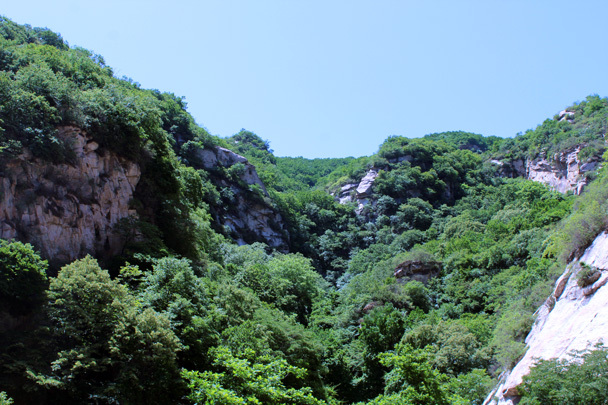 Views of crags and cliffs. 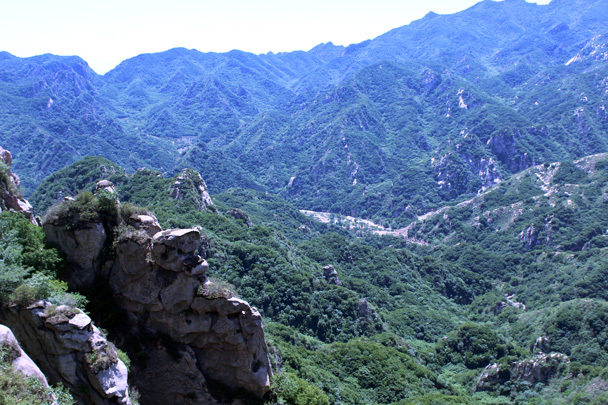 The trail took us into the forested valley seen in the photo. 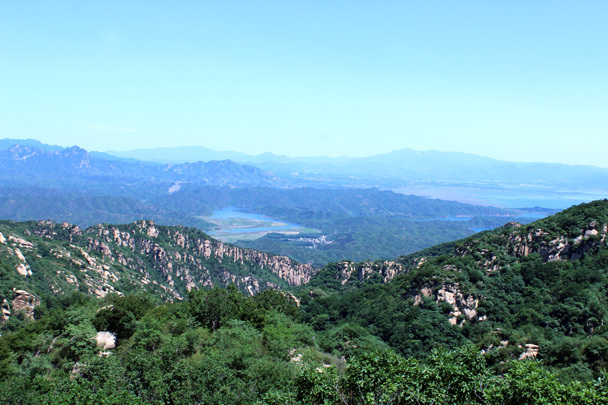 Looking back down the valley, with the Miyun Reservoir just visible in the distance. 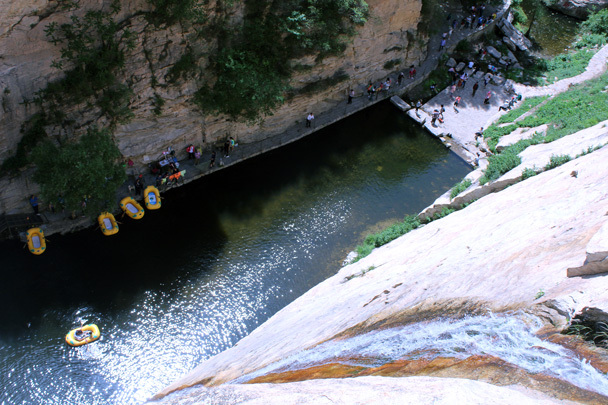 This photo is taken near the peak of the trail, looking down into the river canyon on the other side. Hiking team at the top. 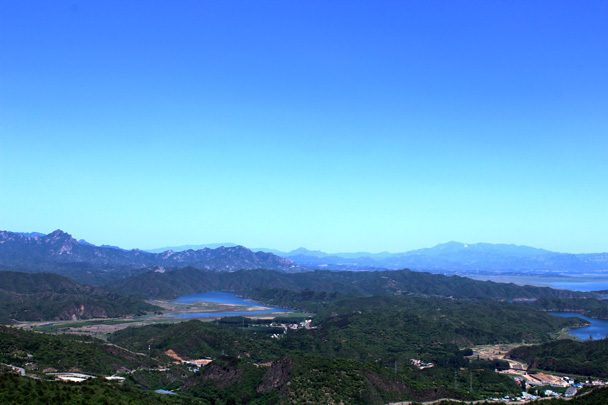 Superb view of the reservoir. 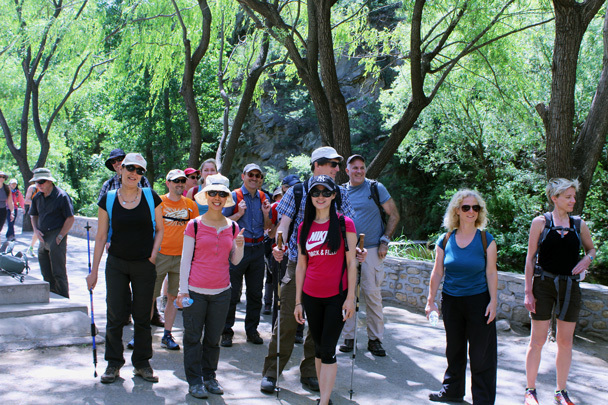 In Brief: See photos from a two-day team trip to the Gubeikou Great Wall: Hiking, paper cutting lessons, overnight in a lovely guesthouse … nice!